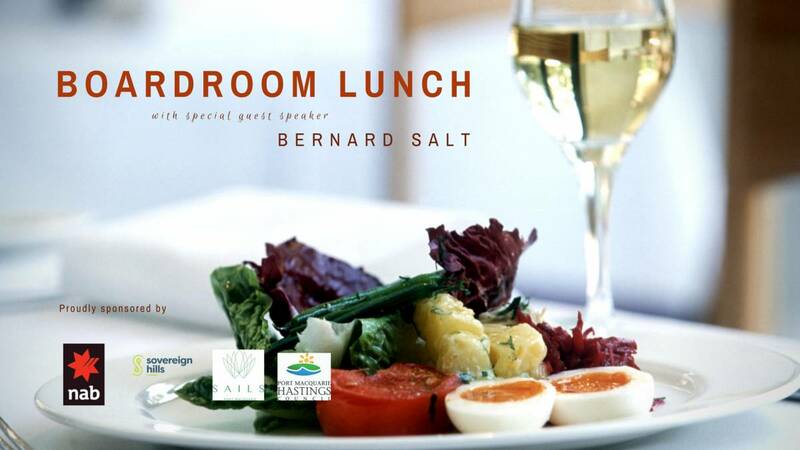 Join us for a light and entertaining afternoon with special guest speaker, Bernard Salt AM, the gentleman responsible for globally popularising smashed avo! Founder of KPMG and now Head of The Demographics Group, Bernard’s specialties lie in understanding and tracking social, generational and demographic trends. Includes a complimentary drink on arrival and a hot lunch in the stunning Cape Ballroom, Sails Resort, with views of the beautiful Hastings River, this event promises to be enlightening, entertaining and informative. Don’t miss out – get your tickets now!